Prof. Reitz was recently interviewed by Kelly Taylor of Canada's Chronicle Herald and on 680 am CJOB - Winnipeg's News and Information Station. Prof. Reitz was recently interviewed on the Wisconsin Radio Network. Below is a copy of the interview. This Research Monograph was one of the top 25% most downloaded eBooks in the Springer eBook Collection in 2012. Prof. Reitz is not accepting new graduate students, postdocs, or advisees at this time. Please click here to download a PDF version of Prof. Reitz's resume. Please be patient; generating the PDF may take a while. According to Google Scholar, Prof. Reitz' paper - "Modeling Atomization Processes in High-Pressure Vaporizing Sprays," Atomisation and Spray Technology, Vol. 3, pp. 309-337, 1988. has been cited around a 1,000 times. Since that journal no longer exists, the paper can be downloaded here. Also, Prof. Reitz' 1978 PhD thesis (Atomization and Other Breakup Regimes of a Liquid Jet) has been cited several hundred times, and can be downloaded (58MB) here. Professor Reitz's research interests include internal combustion engines, chemical kinetics and sprays. 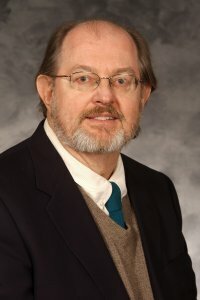 A major research focus of his work has been the development and application of advanced computer models for the design of fuel injected engines, including diesel and spark-ignited engines. His group also pioneered a high efficiency, low emissions, dual-fuel engine technology, known as Reactivity Controlled Compression Ignition (RCCI). Reitz' engine experiments used fully instrumented single-cylinder research diesel engines equipped with high-pressure electronic fuel injection systems. The experimental results are used to study the effect of fuel injection characteristics (such as variable rate and multiple injections) on diesel engine soot and NOx emissions, as well as to develop injection strategies for Low Temperature Combustion engines. The engine experiments also provide validation data for the computer models. The computer models have been used in combination with genetic algorithm search techniques to find optimum engine designs. Prof. Reitz was awarded Emeritus Professor status in the Mechanical Engineering Department in August of 2015. Before joining the university in 1989, he spent six years at the General Motors Research Laboratories, three years as a research staff member at Princeton University, and two years as a research scientist at the Courant Institute of Mathematical Sciences, New York University. Prof. Reitz is a consultant to many industries. He is a member of the Combustion Institute and is a Fellow member of the Society of Automotive Engineers and of the American Society of Mechanical Engineers. He has served on the executive board of the Institute of Liquid Atomization and Spraying Systems--North and South America, and is a former director of the UW-Madison Mechanical Engineering Department's Engine Research Center. He is the Editor-in-Chief of the Frontiers Journal of Engine and Automotive Engineering and is co-Editor (Americas) of the International Journal of Engine Research. This site is w3c validated for markup and CSS.